Below are the answers to some popular queries about CBeebies. If the answer to your question isn't included here, and you would like to send in a comment, complaint or appreciation to the BBC, you can do so via the Contact the BBC page. Children of any age can set up a BBC account, and we recommend children under 13 get help from a parent or guardian. Soon users will have to sign in using a BBC account to watch BBC iPlayer or listen to BBC iPlayer Radio, on some devices. Find out more about signing in here. How do I send in a birthday card to be read out on the CBeebies channel? All the information about how to send in a birthday card can be found on the birthdays page. Can I watch CBeebies Birthdays on iPlayer? No. CBeebies Birthday cards are only shown on the CBeebies Channel and are not available to watch on iPlayer or the CBeebies website after transmission. If you are looking out for a birthday card on TV, please watch or record the CBeebies Birthdays slots on the appropriate day. The times for when the CBeebies Birthdays are shown on TV each day can be found on our birthdays page. Why are CBeebies Birthdays no longer on iPlayer? Uploading the many CBeebies Birthdays across a week to the BBC iPlayer is a much more complex process than for full programmes and we found that they were watched by significantly fewer people. As such, we decided that the time and resource spent on this complex process could be better served directly on making new programmes and games for you. We know how much you enjoy seeing your childrens’ birthday cards on CBeebies, so we provide details of the times you can see the birthday cards each week on our birthdays page. I missed seeing my child's birthday card being read out, can you send me a recording? Unfortunately, it's not possible for us to provide any recordings. Can I apply for tickets for this year's CBeebies Christmas Show? This year’s CBeebies Christmas Show is Thumbelina and was recorded at the Regent Theatre in Stoke on the 3rd and 4th of November. For more information please visit the CBeebies Christmas Show 2018 page, and keep an eye on our social media channels for further updates. How do we get tickets for the CBeebies Prom? We cannot guarantee that there will be a CBeebies Prom every year but there are often other family-friendly events as part of BBC Proms. You can follow the BBC Proms on social media or check the Royal Albert Hall website to find out more. Can my child be in the audience for Swashbuckle? Unfortunately, it's not possible for us to consider individual requests for children to appear on the programme, or be in the studio audience. Children taking part in Swashbuckle and appearing in the studio audience are usually found through casting sessions run by the production team in a wide range of schools and nurseries. Like all such sessions, these take account of a variety of factors, for example, age range and type of contribution required. We are not currently looking for children to take part in filming, and regret that we can't consider requests for individual children, or specific schools/nurseries to appear on future episodes. Can my child take part in one of the television or radio programmes? Unfortunately not. Children taking part in CBeebies programmes are usually found through casting sessions run by the production teams to find children to take part in a particular show. Casting sessions usually take place in nurseries or schools, and take account of many factors: different shows require different types of contribution, which might include specific age ranges or children with links to the subject talked about in a particular programme. We receive many requests for children to take part in programmes like Swashbuckle or I Can Cook. We are not looking for children to take part in filming and we regret that we are unable to consider requests for individual children or specific schools/nurseries to appear on future episodes. Should any open opportunities to be considered for a programme arise, they will be detailed on our How to take part in a CBeebies show page. Can my child take part in Swashbuckle? For Swashbuckle, it's particularly important that we find four children for each programme who are friends and who work well together, so by finding children through their schools with the help of their teachers, we can better manage expectations about appearing on the show. Send in your material to CBeebies and have a chance of it being shown on TV or online. You can find lots of opportunities to send in your pictures, video clips and audio recordings in the Join In section of the CBeebies website. Please read the Top Tips below to stand a better chance of your family's work being included. Please keep in mind that we won’t be able to notify you individually if your family’s work is going to be featured on television, radio or online – so please remember to watch the programme, check the website or listen to the CBeebies Radio podcasts to see if you can spot your contribution. Due to the sheer volume of submissions, it will not be possible for all submissions to be shown on the programme or to be included in the online galleries. 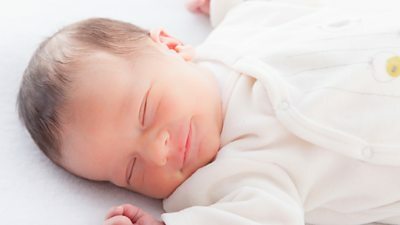 Provide the first name only and age of the child. For child protection reasons, do not post on our social media pages to say that you have uploaded it. Our social media team will delete any posts referencing this. Make sure that any video clips are filmed in landscape (wide) as opposed to portrait (tall) as this is better for TV. If any of your video clips or pictures include characters please make sure that you only use CBeebies characters as other commercial images cannot be used for copyright reasons. This includes any other characters and brands on children’s clothing. Please make sure that there are no identifiable logos on the child's clothes. For example, no school logos should be visible. Provide an explanation about what it is that you are sending in. It’s always nice to have a bit of a background story! Can CBeebies make a donation to our charity fundraiser? The BBC is a publicly funded organisation which means that we cannot support one specific business or organisation over another. The BBC is unable to fund individual charities or concerns and cannot use licence fee payer money to fund other organisations. Can I get a presenter to come along to an event? Unfortunately it’s not possible for CBeebies presenters or characters to attend charity events or fun days. Can I get a signed photograph of a presenter or character? We regret that we can’t provide photographs of any of our presenters or performers. Please understand that we can’t give you contact details for presenters or members of our production teams. Is there a toy/book/CD/DVD available from my child’s favourite programme and where do I buy it? We cannot help with BBC merchandise queries, as that falls under a 'commercial activity' and we're not allowed to be commercial. 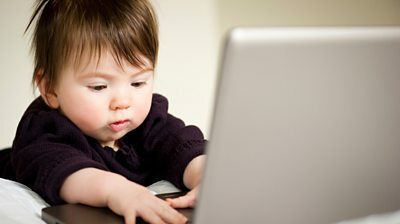 Internet search, relevant retailers or other parents may be able to tell you what (if anything) is available. Is Fun With Phonics available to buy on DVD? Fun with Phonics is available on DVD for schools and DVD and Book packs are available on the domestic market. You could use a search engine and look for “fun with phonics”. How do I contact a CBeebies magazine? We can’t help with enquiries about CBeebies magazines, as they’re produced by a commercial publisher. Please contact CBeebies magazines directly if you have a query. Your magazine should feature a contact email address within the publication details. We cannot help with queries about CBeebies Live arena shows because they are produced by BBC Worldwide (the commercial division of the BBC), and we aren't allowed to be involved with any commercial activity. If you have a question about CBeebies Live please contact BBC Worldwide directly through the CBeebies Live website. How can I find out about CBeebies Land? Unfortunately, CBeebies can’t answer queries about CBeebies Land, because it's a paid for attraction managed by Alton Towers Resort in partnership with BBC Worldwide, the BBC's commercial division. Any queries about CBeebies Land should be sent to Alton Towers Resort or BBC Worldwide, who will happily deal with your query. Please contact Alton Towers Resort directly via their online form. How do I find out when a programme will be broadcast on CBeebies? The schedule for programmes currently being shown on CBeebies can be found on the CBeebies TV Guide. We regret that we cannot answer individual queries about when a show will be on CBeebies, or about when a series will return to the channel. Why isn’t my child’s favourite programme on anymore? The CBeebies schedule is updated every now and then so that everybody gets a chance to see their favourite programmes and to keep the schedule varied and fresh. We try to offer a balanced schedule that everyone enjoys, as we know viewers have their own favourite programmes and regular viewing. We're sorry if such changes disrupt your routine - we always try to ensure that programmes and slots are clearly signposted via trails and our presenters. We rotate some older series because we have to balance bringing different titles into the schedule at different times of the year within a fixed amount of airtime. As a result, some shows will not be on TV for a while because they have made way for other programmes in the schedule. Everyone has their favourite shows and children at different stages of development prefer different shows, so we try to balance our offering by providing a schedule that suits the majority audience and by rotating shows carefully. Occasionally, programmes are removed from the CBeebies schedule because licences have not been renewed. We regret that we cannot answer individual queries about when a show is going to return to CBeebies. Why are CBeebies shows repeated throughout the day? The CBeebies schedule is always made up of a mixture of new programmes and older, familiar shows. Our schedule is built on the premise that most little ones are watching a small amount of television each day, and so we repeat blocks of programmes through the day to accommodate children with different routines watching at different times - therefore, if you were to watch CBeebies all day, you would certainly see some programmes and links more than once. Likewise, we’re aware that our audience are only with us for a limited number of years - as they get older children move on to new stages of development and become interested in different programmes. We have also found that younger children are discovering some of our older programmes for the first time, so we try to provide a balance between much-loved staples and new programmes. On Wednesday 2nd August 2017, the Freeview TV guide was updated to create more space for new services. As a result of this update, some channels, including CBeebies & CBeebies HD and CBBC & CBBC HD have moved to new numbers. These changes only affect people using Freeview or YouView. Your channel numbers haven't changed if you use other providers such as Sky, Virgin Media or Freesat. What do I need to do if I am a Freeview or YouView user? To update your guide, you will just need to retune your Freeview TV or digital box (some equipment may load the changes automatically). If you're not sure how to do this you can find advice at Freeview.co.uk and from the Freeview advice line on 03456 505050. You can retune at any point after mid-afternoon on Wednesday 2nd August 2017. What happens if I don't retune? You'll carry on seeing the channels at their old numbers - but it is recommended that you retune regularly to make sure your TV guide is up to date and that you have access to all available channels in your area. Will I have to update my favourites and recordings? Depending on your equipment, you may need to update your favourites list following a retune because some channels will be on new numbers. Some digital recorders might require scheduled recordings to be reset after a retune, but existing stored recordings shouldn't be affected. Can I watch CBeebies on BBC iPlayer? BBC iPlayer allows you to watch most programmes for up to 30 days after they have been broadcast. If you want to, you can also download a programme to store for 30 days on your device. For more information, please see BBC iPlayer Help. You need a TV licence to watch or download programmes from BBC iPlayer, and you can find more information on BBC iPlayer Help. 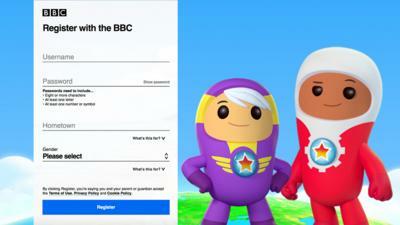 You will also need to sign in using a BBC account or create one for you or your child. Getting a BBC account is quick, free and easy you can register here. For more information about signing in and BBC accounts take a look here. And don’t forget, if you want to control what your child watches on BBC iPlayer you can do this by using our parental guidance lock feature. Find out more about setting up a parental guidance lock here. Have things changed in terms of accessing CBeebies or CBBC iPlayer on the web? 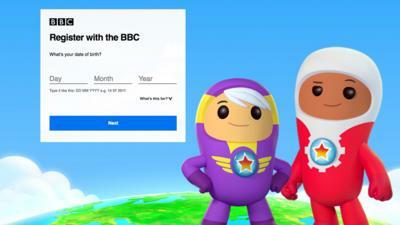 We will soon be retiring the CBBC iPlayer and CBeebies iPlayer websites but you'll be able to continue to access programmes from these channels on the main BBC iPlayer (website, app, and on connected TVs) and on the dedicated BBC iPlayer Kids app. Find more information about these changes to accessing iPlayer. How can I access BBC iPlayer for my child? BBC iPlayer is changing and in some places you or your child will need a BBC account to watch TV shows. If you register your child for an Under 13 BBC account they will get a homepage on the main BBC iPlayer and personal recommendations tailored for children. We also recommend setting up a Parental Guidance lock to ensure they only access content you deem to be appropriate. If you or your child has a BBC account already - you just need to use that. If you don't have a BBC account - you'll need to create a new one. If you would like to register for your own BBC account you can do this in a few simple steps. All you need to do is enter your email address, create a password and tell us your postcode. If you would like to register for an account for your child or help them create their own, it's really easy too and here's a step-by-step guide to help. You’ll need this each time you sign them into their BBC account, so make sure it’s something you’ll remember. You’ll also need to create a password, which needs to include eight or more characters, at least one letter and at least one number or symbol. Make sure it’s memorable - and don't write it down anywhere. Type in the hometown or city of where your child lives. Type in a few letters and you'll be offered suggestions in the drop-down menu. Click on the drop-down menu and select one of the options. You can choose female, male or enter another term of your choosing. And there’s also an option if you’d prefer not to say. Step 6: Child Permissions and Parental Guidance locks. If you want to control what your child can and can’t do on the BBC you can also set up child permissions for them. All you need to do, is make sure you have an account too, then you can link your accounts. Find out more about setting up child permissions here. And remember, to control what your child watches on BBC iPlayer you will still need to use the parental guidance lock feature. Find out how to set up a parental guidance lock here. That's it! You're ready to sign in, so your little one can watch, discover and download the best of CBeebies on the BBC iPlayer app. How do I sign in to use BBC iPlayer? To sign in you need to register for an account, getting a BBC account is quick, free and easy. If you need any further help, find more information here. Why are you asking me for my hometown? As a public service, the BBC needs to make something for everyone. Giving your full Hometown helps us understand how the BBC is used in specific areas across the UK. This means we can check to see if we are making something for everyone and giving best value for the license fee. Why are you asking me for my gender? We ask everyone what gender they identify as. You can choose female, male or enter another term of your choosing, there’s also an option if you’d prefer not to say. Need more help? Head to the main BBC Help with accounts page. Why is Playtime app being retired? Go Explore is packed with games that help your little one learn and discover with their CBeebies friends. Each game draws on the Early Years curriculum taught in primary schools to help children build up their skills and understanding ready to start school. Will accessing the app on the go use up my data allowance? Go Explore must have an internet connection the first time it's launched. You might prefer to do this while you are connected to WiFi in order to save your data allowance. After this, all games can be played offline. Please note that videos are streamed and need an internet connection to play. Will Go Explore work on my device? CBeebies apps are available on the mobiles and tablets most used by our audience. As hard as we might try, we are not able to support every tablet or mobile device on the market. Android devices running KitKat and above (4.4+) with 1 GB of RAM or more. The CBeebies Get Creative app is available to download via the Apple, Google Play and Amazon app stores. Will Get Creative work on my device? We have some important information for people who use Apple Devices to access Get Creative. We are no longer able to support devices using iOS 9.3 or below. As we continue to improve our apps and keep them secure, occasionally we are required to drop support for older versions of iOS. If you are affected, you are able to upgrade your version of iOS to a more recent version. To do this on your Apple device go to: Settings > General > Software Update. Please note: following the iOS version update you will need to go to the App Store and update the Get Creative app on your device. How does the gallery function work in Get Creative? The Get Creative gallery keeps your 100 latest creations. These creations aren't saved to your device’s photo gallery, but they’ll remain inside the app. So whenever inspiration strikes, there’s space to Get Creative! Why does the Get Creative app ask for certain permissions on my device? When you install Get Creative on an Android device, it will ask permission to write to the external storage. This is to allow Make Machine experiences to be stored on your device. Note, for iOS devices, no permission is needed to be requested. The CBeebies Playtime Island app is available to download via the Apple, Google Play and Amazon app stores. Will Playtime Island work on my device? Why does the Playtime Island app ask for certain permissions on my device? What's new in the CBeebies Playtime Island app? A new feature in the CBeebies Playtime Island app allows you to choose which games you would like to download - and then swap them out for different games when your little one is ready for something new. There are new games to choose from straight away - Swashbuckle - My Swashbuckle Adventure, Bing - Build and Play and My Pet and Me - My Pet Friends. More new games will be added regularly for you to choose from. Will this affect my existing games? Yes, it's important to note that this update will mean any existing games you had will need to be added again. Although you can do this via a 3G or 4G connection, you might prefer to do this while you are connected to WiFi in order to save your data allowance. All the existing games are still available to choose and download, including Peter Rabbit - Hop To It, Go Jetters - Global Glitch and The Furchester Hotel - A Helping Hand. Tap on the house you wish to remove. On the zoomed in screen of the house there should be a pink arrow (inside a white balloon) at the top of the house pointing upwards, tap on this. A prompt will appear asking if you wish to remove the game. Tap yes and the game will be removed. Then click the plus pointer that is now where the house used to be. This will take you up to the cloud catalogue where you can add the game of your choice. Will the Playtime island app have more games in the future? Yes! There will be more games added in the near future. Keep updated on the Playtime Island app page. 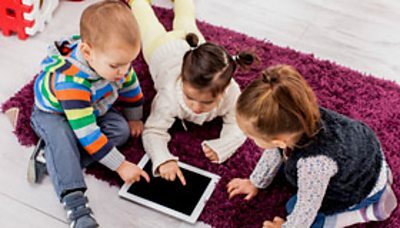 Will Storytime work on my device? Why won’t the CBeebies Storytime app work on my device? • Make sure you close down all apps that may be running in the background to free up memory. • Uninstall and reinstall the Storytime app to make sure you have a clean working copy. • Check your device has been updated and is running the latest operating system. As with the CBeebies website, as hard as we might try, not every tablet or mobile device on the market will support this new technology but we have made every effort to cater for some of the most recent touch screen mobile devices available. Why am I not able to see new stories in the Storytime library? If you’re having trouble seeing the new or latest stories in our Storytime app, this may be because we have recently updated the app with lots of new and improved interactions, which are only compatible with the newest stories Simply update the Storytime app via the Apple iTunes or Google Play store to keep your library updated with all our latest stories! Is the Storytime app available in multiple languages? In the Apple iTunes app store it references that the Storytime app is available in multiple languages. This is an error and the CBeebies Storytime app is currently only available to download in English within the UK only and we are in touch with Apple to try and resolve this. 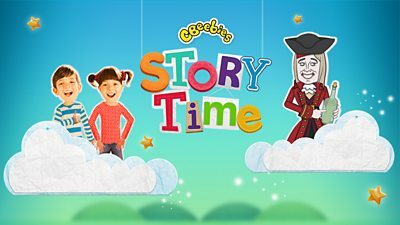 How can I allow the CBeebies Storytime app to use the camera or microphone on my device? The CBeebies Playtime Island and Storytime apps allow you to use the microphone and/ or camera on your device to play and interact with some of the games and stories. Once the app is installed or updated, the app requests your permission to access the camera and microphone on your device. This happens only once, so as not to interrupt your child’s experience by asking every time they play. If you or your child have accidentally denied this access and you now want to allow it, or if you’d simply like to change this setting at any time, you can do so in your device settings. For example, on an IOS mobile or tablet, go to 'Settings' on the device, then 'Privacy', then ‘microphone’ or 'photos'. You should then be able to see a list of apps that have asked for permission to use the microphone or camera and whether this is currently enabled or disabled. Setting Storytime to ‘enabled’ should allow you to enjoy the app using the microphone and camera on to your device. Will there be more games and stories available for free in the future? Yes! There will be more stories featuring favourite CBeebies characters in the near future. Keep updated on the latest Storytime app stories here. Why does the Storytime app ask for certain permissions on my device? The BBC iPlayer Kids app is available to download via the Apple, Google Play and Amazon app stores. What devices can I use to download and access the CBeebies apps? Why is the Playtime app being retired? The CBeebies Playtime app is being decommissioned because the technology that was used to build it is now outdated for many newer devices, and is not accessible for users with impairments. The older technology also means that Playtime is much bigger than similar apps, and takes up a lot of space on your device. From 2018, the Playtime app is no longer being supported technically. What alternatives are there to the CBeebies Playtime app? 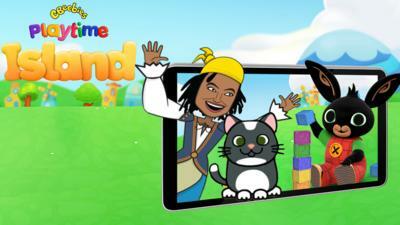 For more fun games with your CBeebies favourites download the CBeebies Playtime Island app! You can download it from the Apple, Google Play and Amazon app stores. All the games in CBeebies Playtime Island are designed to meet the needs of children and their parents, with a focus on learning, bonding, discovery and self-expression. The advantage of using CBeebies Playtime Island is so your little one can shape the app themselves! As we add more games to the app, children can add and remove games according to their developing tastes and needs. By adding and removing games, grown-ups and children can manage the amount of storage space the app takes up on a device. CBeebies Playtime Island is a free app that has no adverts, no in-app purchases and a parental gate to avoid children accidentally going to the app store. It also contains accessibility features such as subtitles for those with a hearing impairment. For something to get your child's imaginations soaring, why not try the CBeebies Get Creative app. Available to download via the Apple, Google Play and Amazon app stores. Will there be any more updates to the Playtime app? There will no longer be any updates to the Playtime app, and the app will be retired during 2018. When that happens, the app won't be available for download from your app store and you'll no longer be able to use it on your device. You can also play CBeebies games on the CBeebies website. For a different app-based experience, you can also download the CBeebies Storytime app. Why am I getting no sound on my iPhone? Your iPhone ringer mute switch may be activated in which case you just need to switch it to unmute so that the red indicator is no longer visible – you can find it on the side of your iPhone. Why am I getting no sound on my iPad? Your iPad’s ringer mute switch may be activated, in which case you just need to switch to unmute so that the red indicator is no longer visible – you can find it on the side of your iPad. Do I need a WiFi connection to use the CBeebies apps? You will need a WiFi connection to initially download CBeebies apps to your mobile or tablet but currently once downloaded you no longer need an internet connection. Your little one can take their CBeebies world out and about; to the supermarket, in the car, or even on holiday abroad! It’s a great way to keep little ones entertained without having to worry about a WiFi connection or data allowance. You will also need WiFi access if you wish to download new stories from the Storytime app's library or download new games in the Playtime Island app. Please keep this in mind before deleting stories or games. When you first update the Playtime Island app to activate the download feature, any existing games you had will need to be added again. Although you can do this via a 3G or 4G connection, you might prefer to do this while you are connected to WiFi in order to save your data allowance. I'm having a problem with the CBeebies apps that isn't covered here. If your question isn't answered here, please contact cbeebiesinteractive@bbc.co.uk for support. What is the difference between the CBeebies apps and the CBeebies website on mobile and tablet devices? The CBeebies website (bbc.co.uk/cbeebies) offers free games, clips and more for your little ones via a web browser, which requires an internet connection, whereas the BBC iPlayer Kids, CBeebies Playtime Island, CBeebies Playtime and CBeebies Storytime apps (once downloaded) are installed on your device which means that they are available for your little ones to use on the go with no WiFi or 3G connection needed. You can make the website look like an app on your device's Homescreen by adding it as a bookmark. This will help your child find loads more games easily. You can find out how to do that here. The Storytime app makes the most of the touch screen and native features of handheld devices, as well as allowing children to read and play ‘on the go’ without the need for WiFi. The app benefits from certain interactions that desktop devices can’t deliver, such as the use of tilt and using the microphone output. These extra interactions create fun and an engaging experience for our young audience, their parents and carers. CBeebies Radio is a daily web-based radio show for pre-school children. It’s a place where children can join in and share adventures in the company of their favourite CBeebies friends. We also have online listening activities where they can listen and join in even more. CBeebies Radio is here to help grown-ups and their family routines - listen, download and take away! How can my child listen to CBeebies Radio? You can either listen to CBeebies online using the CBeebies Radio Player, or download our podcast to your mobile, tablet or mp3 device. Each week we have seven shows available in the Radio Player, and you can go to the BBC Podcasts page to download any of those shows to keep forever. CBeebies Radio is also available on the iPlayer Radio app. Soon you or your child will have to sign in to listen to the BBC iPlayer radio app. Find out more here. Why isn’t the CBeebies website working for me? There could be a number of reasons why the CBeebies website is not working for you. Many areas of the CBeebies site require a free Flash plug-in to play certain games or video content. If you do not have Flash on your computer, we always try to tell you on the website when you need it, as well as providing non-Flash alternatives. However you can download Flash for free from Adobe. Another reason why the site may not be working is that we may be experiencing technical difficulties, which we always try to fix as soon possible. If this is the case please wait a little while and then come back to the site later, once we have had time to fix the problem. When trying to view the CBeebies homepage, I’m seeing a message that says ‘oops, you can’t see this activity’ – what should I do? Try updating to the most recent version of whichever browser you are using. Why have the CBeebies icon buttons at the top of the website changed? There is an exciting new ‘Join In’ section on the CBeebies website which will give the audience lots of new opportunities to become part of the CBeebies magic by sharing pictures, videos and more. The website is a busy place and so, to make room, we needed to look at what could be moved. We also took this opportunity to look at reflecting which buttons are the most popular with the audience in the line-up. The 'Stories' page was the least visited from all the buttons and so the decision was made that it should be removed. 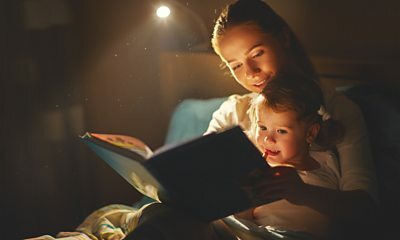 Don’t worry though – we still love our stories and they are all still there appearing under the relevant shows’ pages - and don't forget the amazing StoryTime app and CBeebies Bedtime Stories on iPlayer! We have also recently replaced the 'Grown-ups' button with a 'Puzzles and Quizzes' button, as we know that these are some of the most popular activities on the website. However, grown-ups can still find our CBeebies Grown-ups pages by clicking on Grown-ups in the white bar at the very top of our site. The Grown-ups site is full of articles and other resources to help your child learn and have fun with CBeebies. A plug-in is a small computer programme that helps you see, listen and play games, videos and sounds on the CBeebies website. All the plug-ins you would need for the CBeebies website are free to download and use. Why don’t some games work on my Android device? Mobile devices often come with several different mobile browsers installed and not all of them will run our games. If you have a problem loading certain CBeebies games, try them in a different mobile browser. Why can’t I watch CBeebies website video content or play games from overseas? Access to the BBC's website is restricted, meaning that overseas users are prevented from seeing content on www.bbc.co.uk. This is because unfortunately many programmes have broadcast rights restrictions which don't allow us to show CBeebies programmes and content to people outside the UK. In addition, broadband content is expensive for the BBC to stream, so we have to give priority to people within the UK, who ultimately bear the cost of us doing this through their licence fee. However, as more and more people outside the UK are starting to watch CBeebies from abroad, there is an international website at www.cbeebies.com, which is steadily growing and may provide some of the content you are missing. Sometimes even though you're in the UK, it's possible you may see a message saying you're not. This could be because your computer is on a foreign-based network, or is routed overseas without you knowing. Some computer programs, such as web accelerators, can also cause your computer’s unique IP (Internet Protocol) address to appear as if it is outside the UK. For rights and licensing reasons, our BBC technology system only recognises IP addresses provided by UK-based internet service providers (ISPs). If a CBeebies activity doesn't recognise your IP address at all, then you won't be able to play, stream or download the activity. You may find this problem occurs elsewhere, beyond CBeebies. Occasionally it may simply be a network error, so it's worth closing your browser and turning your broadband/network router box off and on. This may get you a new UK-based IP address. If this doesn’t work, you must contact your internet service provider (ISP) as only they can register your address. If your ISP has registered with the appropriate databases, our servers will update on the next regular refresh. You will have to wait until that time before you can play. Please do keep trying us on a regular basis to see if the situation has changed. Why am I now seeing an error message saying I’m outside the UK, when I wasn’t previously? Sometimes your internet service provider (ISP) will allocate you a new IP address, or will carry out maintenance work that means you are given a new IP address. In some cases, this IP address will not yet be registered by your ISP as being in the United Kingdom, and as such CBeebies will no longer recognise you as being in the UK, even if you are. This is something your ISP is best placed to fix, so you must contact your ISP as they alone can register your address. Why has my child’s favourite CBeebies show gone from the website? 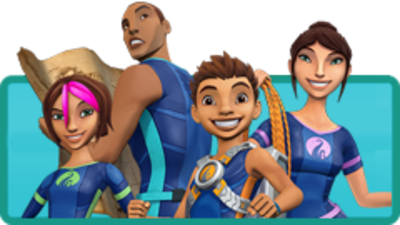 With brand new CBeebies shows and characters arriving on the website and the CBeebies channel all the time, we sometimes need to remove older shows in order to make it easier for our young audience to find their way around the website and to enable our team to focus on supporting new and innovative content. Shows are also occasionally removed from the CBeebies website because they are no longer licensed by CBeebies. 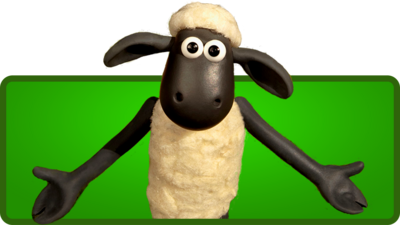 We always try to balance our online offering so that it includes a range of CBeebies shows that work well online, and appeal to children of different ages and needs. Why are some games and activities not available on the CBeebies website? Sometimes content needs to be removed from the website because the brand is no longer licensed by us and we have to take down any relevant content, sometimes it is because technology has moved on and we are trying to fix the game - we always try to bring back as many as possible. Should you access a game or activity where the page looks 'blank', it does not necessarily mean that the page is broken. It just means that the content has been removed. On the few occasions where we need to remove content, we also remove direct access to them by amending our menu pages so that the risk of you accessing a missing piece of content is minimised. 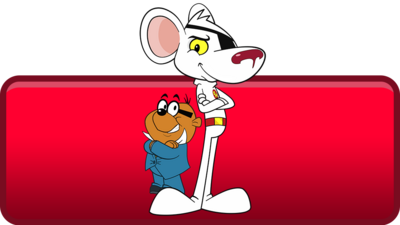 Legal or 'rights' issues can also mean we are unable to provide theme tunes or other video clips for some brands. We regret that it is not possible to send any of this content to you. Why do I see a pop-up on the CBeebies website asking me to accept cookies? When you go on the CBeebies site you might see a pop-up asking you to accept cookies. CBeebies cookies are completely harmless – we use them (among other technology) to make the site better by remembering what you’ve done already. For example, the Alphablocks game takes your child to a new word every time and shows them the stickers they’ve already earned, instead of them always having to go back to the beginning. You’ll need to tick continue on the pop-up to get the best experience of the site. CBeebies (along with nearly every other website) has been using cookies to enhance our site for years but because of new guidelines, sites now have to add the pop-up. You can find out more about cookies on BBC Webwise. 1. Click the 'Customise and control Google Chrome' button in the top right of the browser. 2. Next click the 'Settings' option. 4. Under the 'Privacy' settings, click the 'Content settings' button. 1. Go to the 'Tools' menu in IE and choose 'Internet Options'. 3. Make sure the 'Internet Zone' is highlighted and press the 'Custom Level' button to open the security options. 4. Look for the entry near the bottom of the list which says 'Scripting', then 'Active Scripting' and make sure it is enabled. 1. In Safari, go to the Safari menu and choose 'Preferences'. 1. Go to the 'Firefox' menu in the top left of the browser and select 'Options'. 2. Click the 'Content' tab. Can I download songs, games or stories from the CBeebies website? Why have all the 'computer-only' games been removed from the CBeebies website? Sometimes content needs to be removed from the CBeebies website because the technology has moved on and some games can no longer be supported. A number of older, computer-only CBeebies games built using Flash have recently been removed from the website for this reason. Wherever possible, we have provided an alternative game or activity for your little one to try instead. If your child is struggling with the change, why not spend a little time exploring the rest of the website together - you may find a new favourite! Take a look at all of our other great games here. You can also read our article on Helping Children Deal With Change. We regret that it is not possible to send any of this older content to you, but we hope you can find another great game to play. Why has the Something Special Tumble Tapp game been removed from the CBeebies website? We have recently had to retire a number of computer-only games that were built in Flash, including the Something Special Tumble Tapp game, because the website's technology has changed and these games no longer work. We understand that this may be disappointing for some children - if your child is struggling to cope with the change, why not spend a little time exploring the rest of the website together? Who knows, you may find a new favourite! For example, you could try playing Something Special's newer The Looking Game instead. You can also read our article on Helping Children Deal With Change. Do I need a WiFi connection to access the website when I’m on the go? We are delighted that our website and digital activities are ‘responsive’ - in other words they should work whether you are on desktop, tablet or a mobile phone. This allows the separate CBeebies websites (desktop and mobile) to merge into just one bigger, better site. 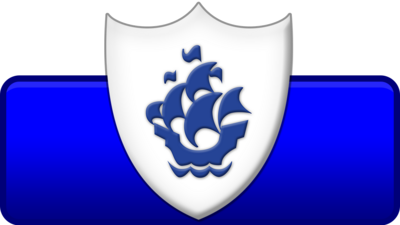 It also allows more compatibility with CBBC who are undergoing similar changes themselves. This allows you and your child to have fun and access the website, and many of the games and activities, whether you are at home or on the go. As with all content accessed via a handheld device, you will get the best performance from your mobile browser with a stable WiFi connection. However, you should also be able to enjoy CBeebies games and activities via a 3G connection. Why do some games and activities not work when I visit the CBeebies website on my handheld device? The rapid changes in technology are influencing our online habits. Much of the older CBeebies content was built at a time when almost everyone visited the CBeebies website through a desktop computer (for example, a laptop or a home computer). This is especially the case with many of our older games that were never built to work on a phone or a tablet. However, with such a large portion of the CBeebies audience now visiting the website through handheld devices, we’re working hard to build our new content in such a way that it works responsively. This means that this content will work across both computers and handheld devices. So while there will still be some games and activities that do not work on your phone or tablet, rest assured that we are working hard to create new and innovative digital content that can be enjoyed by you and child on different devices, at home or on the go. Why can’t I play games on my handheld device? As hard as we might try not all of the mobile devices on the market will support the technology, but we have made every effort to cater for the some of the most recent touch screen mobile devices available. Will accessing games on the go use up my data allowance? When you access any streaming data via an internet browser on your tablet or mobile phone (e.g. videos, music or games) this will be distributed through your contracted data allowance with your provider. At CBeebies we try hard to keep file sizes to a minimum but still give you the best possible experience, so that you and your little one can have fun and play CBeebies games on the go. CBeebies games are designed and built to be viewed in landscape view on a handheld device to optimise the screen space and usage for our young audience. If you are having difficulties getting the game to start once it has loaded, check to see if your phone is locked in portrait rotation. If it is, simply unlock it, rotate your phone or tablet to landscape and press play. For rights reasons some activities on the CBeebies mobile website can only be played in the UK. If you try to watch CBeebies video clips from abroad, you will see an error message which says ‘Media selection request failed’. If you're in the UK but see a message claiming that you're outside the UK, it's because your data connection is being routed via overseas servers. Try closing your browser and reopening it, and (if applicable) restart your WiFi router – it may be a simple network connection error. If you're using a public WiFi network (eg. on a train) this may route your connection overseas. Please try again later using a different network. If you're using the Opera Mini browser, try switching to your phone's default browser. If none of these suggestions help or if you are connected via 3G, please contact your ISP (internet service provider) or network operator. For rights and licensing reasons, our BBC technology system only recognises IP addresses provided by UK-based internet service providers (ISPs). If a CBeebies activity doesn't recognise your IP address at all, then you won't be able to play, stream or download the activity. You may find this problem occurs elsewhere, beyond CBeebies. If you are using Apple iOS7, on any of your mobile devices, you may experience some issues with how CBeebies games display. Games may not fill the screen if your device is in landscape view and, during game play, the top and bottom toolbars can come into view and obscure your view of some game controls. We’re aware of this issue, and as a workaround, quickly flipping your device to portrait view then back to landscape should fix the problem. Which shows and characters will I find on BBC Kids? There's lots to explore and play in the BBC Kids skill - listen to stories read by special guests, play games, and sing along to some of your favourite songs. The BBC Kids skill has interactive voice games from Hey Duggee, Justin's House, Go Jetters, Waffle the Wonder Dog and CBeebies presenters. You'll come across lots of your CBeebies favourites while playing, including Duggee and the Squirrels, Little Monster, Foz and Grandmaster Glitch! We're planning to add lots more voice games in the coming months too. You can listen to well known children's stories read by a selection of special guests. Choose from stories narrated by Olly Murs, Dolly Parton, Tom Hardy, George Ezra and Jodie Whittaker - with more to be added soon! Listen to Mr. Tumble singing some of your favourite nursery rhymes, like ‘Wheels on the Bus’, 'Aunt Polly Had a Dolly' and ‘Twinkle Twinkle Little Star’. As well as have fun singing along with CBeebies friends as you learn about the alphabet, counting and pets in Sing With CBeebies. Which voice-activated speaker platform is BBC Kids skill available on? The BBC Kids voice experience is currently only available on Amazon Alexa devices. We're currently only supporting Amazon Echo devices with the AudioPlayer interface. We're working to integrate with other devices as soon as we can. You'll find a full list of devices we don't support in the 'known issues' section. How do I enable the BBC Kids skill on Alexa? By visiting the Amazon Alexa companion app and searching for 'BBC Kids' in the Skills section. By asking your smart speaker to 'open BBC Kids' or 'open CBeebies'. If you don't already have children's skills enabled on your Alexa device, you'll need to enable these permissions. You can do this via the companion app, or on the Amazon Alexa website. 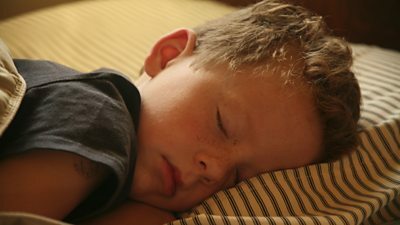 How do I change permissions to allow children's skills? Click or tap on settings, then go to 'Kids Skills'. Click or swipe the 'Allow Kids Skills' toggle to the 'on' position. Once activated, all children's skills from the BBC and other content providers can be enabled and used. How do I open the BBC Kids skill? To open the BBC Kids skill, say "Alexa, open CBeebies". How do I use the BBC Kids skill? After you've said the 'wake word' (such as 'Alexa'), wait for a second before asking your question or giving an answer. 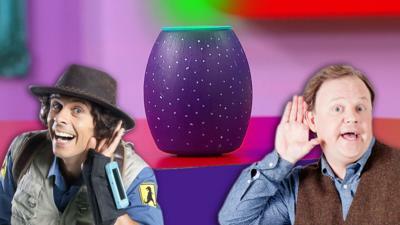 Wait for the light to appear on your smart speaker before talking. Don't forget to stand close to the speaker, and make sure you speak clearly. You can say 'Alexa, help' at any time to get help on how to use BBC Kids. When you open the skill you'll be asked to choose from a game, story or song, choose 'game' then listen to find out which of your CBeebies friends are here to play. Pick your favourite to play a game with them by saying their name when prompted, or you can ask for another if you know its name. If you can't decide, don’t worry - you can say 'surprise' instead. In Little Monster's Hide and Seek, listen for the sounds to help Justin find where Little Monster is hiding. She hides in lots of different places - can you find them all? In Go Jetters: Glitchy Facts, Grandmaster Glitch has scrambled Ubercorn's funky facts. It's up to you to save the day by helping Foz to sort the glitchy facts from the funky facts! In Duggee and the Music Badge - make your own music and earn your music badge as the newest Squirrel. In Waffle the Wonder Dog – Don’t Disturb Mrs Hobbs - can you help Waffle to play with George the cat without waking up Mrs Hobbs? In Move It - dance and move to the instructions from Cat or Ryan from the CBeebies House. When you open the skill you'll be asked to chose from a game, story or song; choose 'story' then listen to hear two story options. You can can choose one of these, or ask for another if you know its name. When you open the skill you'll be asked to choose from a game, story or song, choose 'song' then listen to hear two song options. You can can choose one of these, or ask for another if you know it's name. How do I exit the BBC Kids skill? 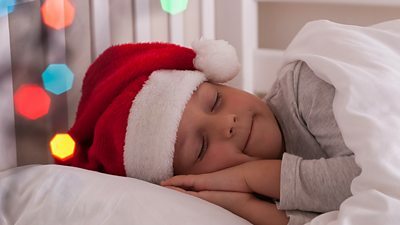 My voice-activated speaker doesn't understand my child's voice. Why? Voice recognition technology is currently optimised for grown-ups. This means that sometimes, your child's voice may not be understood. To make the most of the current technology, we've designed the BBC Kids skill to be as concise, simple, and as easy to interact with as possible. We're aware of this limitation, and we're working alongside our partners to find a solution. We don't currently know if, or when, this issue will be addressed. We're also working with our partners to improve the user experience on Amazon Echo Show devices. 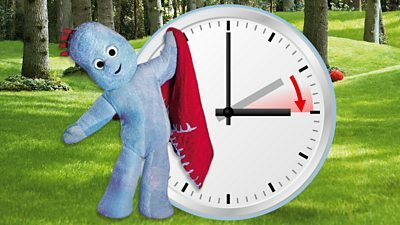 The BBC Kids skill may 'timeout' if it isn’t used for a few hours. For example, if the skill was open in the evening and wasn't used overnight, the first user the following morning may hear “the requested skill took too long to respond”. The BBC Kids skill is only designed to be played on one device per account at a time. If the skill is running on multiple devices on the same account at the same time, it may not behave as expected. If your question isn't answered here, please contact cbeebiesinteractive@bbc.co.uk for support. Please note that we can only provide support for the BBC Kids skill. Both the Furchester Hotel game and the Time for School 'Mix and Match' game will not play in the Chrome browser, however you can still play both games on the Unity Web Player when installed on Internet Explorer, Firefox or Safari browsers. Find out more about the Unity Web Player here. Why do you have a CBeebies YouTube channel? The CBeebies YouTube channel is aimed at a dual audience of adults with children and offers a safe environment where they can enjoy CBeebies content together without the fear of children viewing anything inappropriate. The channel also provides a better opportunity for us to monitor inappropriate uses of CBeebies content appearing elsewhere on YouTube. 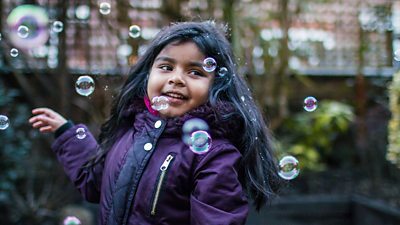 The CBeebies YouTube channel aims to deliver inspiring and empowering content that encourages children to dive into the wider world of CBeebies. Is there a transcript of…? CBeebies does not publish transcripts or make them available to the public. Can you tell me about music, props or locations featured on CBeebies? Sorry, we are a very small team and cannot answer individual queries. If your question is about music or locations and is not covered by our FAQs , you might like to post your query on the CBeebies Grown-ups Facebook page to see if another viewer can help. Can you tell me about old BBC Children’s shows that are no longer on TV? We cannot answer individual queries about old BBC children's shows, but you may find some useful information on the Classic TV section of the BBC Cult website. Where is Old Jack’s Boat filmed? Old Jack’s Boat is filmed in Staithes, near Whitby, on the North East coast of England. What breed of dog is Salty from Old Jack’s Boat? Salty is a Hungarian Wire-Haired Viszla. 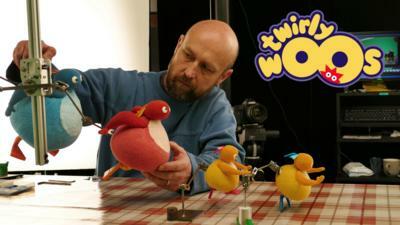 How do I apply for work experience at CBeebies? All work experience at the BBC has to be arranged centrally. You can get more information on work experience placements by visiting BBC Work Experience. All current vacancies at the BBC are listed on BBC Careers. I have an idea for a CBeebies programme, where do I send it? You should try and develop your idea as far as possible including a clear understanding of the exact target age group, why you think your idea will appeal to them and the unique qualities it has to offer that other programmes are lacking. For up-to-date information on BBC Commissioning, visit the BBC Commissioning website. All programmes must go through the BBC e-commissioning process. 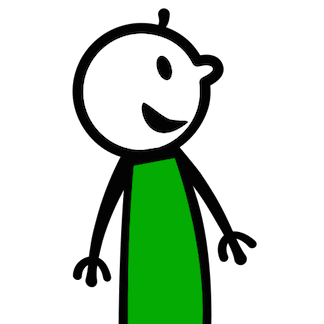 Can you send me some images of CBeebies characters for my school / university project? We cannot send you, or give you permission to use, any images of CBeebies characters for your project. Can you send me some information about your programmes or audience for my school / university project? We cannot send you any research into children or our programmes for your project. Many parents/carers are happy to share their experiences and thoughts on the programming that CBeebies makes for their children; but we do request that the number of posts on the Grown-ups Facebook or Twitter sites asking for help with research projects are kept to a minimum. This is because our social media is a resource for the parents/carers to share their thoughts on CBeebies with each other and the BBC, and repeated requests for research data can disrupt the conversation. We closed this service in April 2016.